You are at:Home»What's Up Europe?»Mobility»Getting Europe Back on Track: Erasmus Becomes +! By The New European on	 24 February 2014 Mobility, What's Up Europe? “Travel is more than the seeing of sights; it is a change that goes on, deep and permanent, in the ideas of living.” These words by the American writer Miriam Beard best exemplify one of the most successful initiatives in the history of the European Union: the Erasmus programme. That is why the European Commission, in a general environment of costs cutting and austerity, has decided to invest even more in this kind of initiatives, creating a new, more powerful programme which name says it all: Erasmus+. This will result in an increase in efficiency: Erasmus+ brings together, under one name, the seven existing EU programmes in the fields of Education, Training, and Youth, that until today were separated, and had specific names and funding (with Erasmus targeting University students, Comenius for School exchanges and Leonardo for vocational training, among others); it will also for the first time providing support to Sport. This decision allows for a better allocation of funds and a more fruitful interchange between the different sections: as an integrated programme, Erasmus+ offers more opportunities for cooperation across the Education, Training, Youth, and Sport sectors and is easier to access than its predecessors, with simplified funding rules. Again in the words of the European Commission, the programme aims at “becoming a more efficient and flexible instrument to address the real needs in terms of human and social capital, seen the different sections as components of a general ‘Lifelong Learning Programme’”. Erasmus+ is a central pillar of the “Europe 2020 strategy”, which aims at making Europe the first knowledge based economy in the world, defeating unemployment and creating an ideal environment for innovation (and which we already talked about in another article). That is why the programme will have a budget of €14.7 billion in the next seven years; a 40% increase compared to current spending levels for the existing initiatives. In the next years, 4 millions of Europeans will have even more opportunities to study, train, work and volunteer abroad. A good instrument to increase the abilities of the European human capital, which will be a more and more decisive asset to compete in the global economy of the future. But also the best possible way to fight against the rising euro-scepticism: in the long term, the personal enrichment that these experiences can bring to individuals is crucial in creating a common European identity. 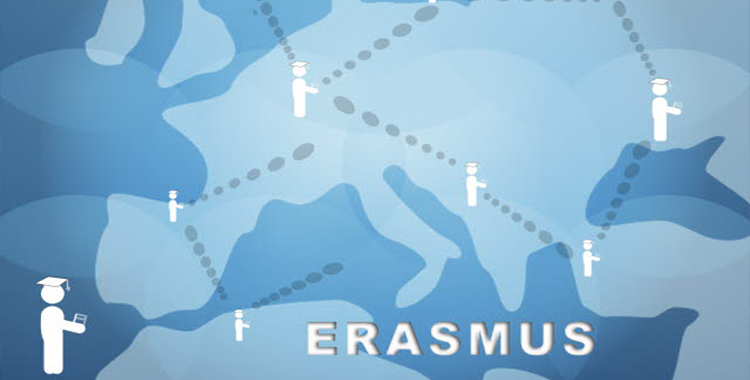 Are you ready to let Erasmus+ change you?